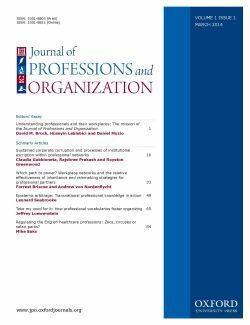 The Journal of Professions and Organization aims to be the premier outlet for research on organizational issues concerning professionals, including their work, management and their broader social and economic role. E-cigarettes have an image problem. I mean this in two different ways. They are still seen as controversial products, often featuring in dramatic stories about battery explosions or toxic substances. Most of these stories play on public fears, exaggerate their claims, and are unhelpful for fostering a constructive public debate. But more generally, e-cigarettes have an image problem in that no one agrees on what they represent: are they a new leisure device providing a safer way to smoke, a pharmaceutical quitting tool, a ploy from Big Tobacco to find new profit streams, or something else entirely? Of course, on a basic level, we know what they are. E-cigarettes are devices for heating up a nicotine-containing liquid solution to produce a mist or vapour instead of cigarette smoke. From their appearance to their use and operation, they mimic the feel of real cigarettes without producing the more harmful side effects of actually combusting tobacco leaves. Smokers who turned “vapers” have described how important this mimicry really is: the tactile feel of the devices in your hand, the “throat hit” as you draw vapour into your mouth, and the sensation as your body reacts to the nicotine in much the same way as it would if you were smoking. The great appeal and apparent success of e-cigarettes lies in how closely they can fool your body and mind into believing you are smoking. Successive generations of products are coming closer and closer to this ideal (and they are developing very rapidly), or even surpassing it in favour of almost infinite customization, and personalization of the smoking experience. 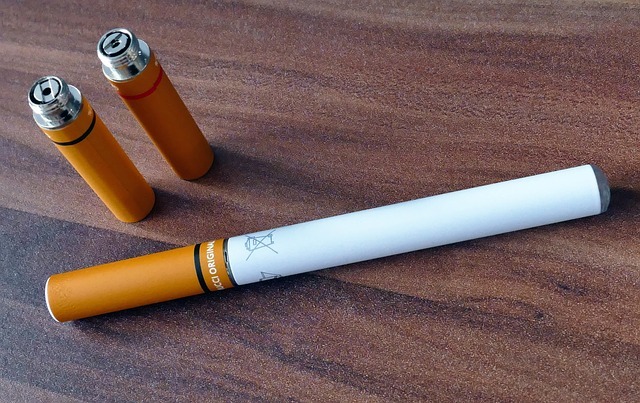 This mimicry of conventional smoking might suggest that vapers and the e-cigarette industry sympathise with Big Tobacco when it comes to defining e-cigarettes. But their relationship is much more strained and complicated – to simplify things we can talk about two different vaping wings: pragmatists and idealists. The idealists are the most fervent and politically active members of the vaping community. They think regulators should keep their hands off e-cigarettes for fear that they smother the nascent industry with needless, burdensome rules. In their view, free vaping means fewer rules, lower costs, more vaping, and therefore more lives saved as conventional smokers make the switch. The idealists have no connections to Big Tobacco: the companies are mostly small and medium-sized enterprises that make up the majority of the e-cigarette industry. They want e-cigarettes to be seen as a new product category, not as either a tobacco product or a pharmaceutical product. In contrast, the pragmatists believe that regulation is necessary for the e-cigarette industry to develop and evolve into a mature and stable product category. Rather than oppose any attempts to associate e-cigarettes with other tobacco or pharmaceutical products, this group simply argues for moderation in these endeavours in order to build up a long-term, compromise solution that is at least acceptable to all parties involved. The idea is that stable expectations about the rules governing the product will encourage investment and longevity. In this group we can find certain e-cigarette companies and associations, but also Big Tobacco (all of which own e-cigarette brands by now) – however, there is much less representation of individual vapers who see little point in campaigning for stable rules. Electronic cigarette. CC0 via Pixabay. When regulatory authorities were first confronted with this new product, it is fair to say that they did not know much about what e-cigarettes were or did. Most jurisdictions opted for a form of pharmaceutical regulation to level the playing field with nicotine replacement therapies such as the Nicorette range of products. But this was strongly resisted by vapers who did not want to see their current range of products become medicalized, and themselves become stigmatized in the process, as addicts in need of treatment. A good part of vapers have no intention of quitting, but use e-cigarettes as a long-term, potentially healthier alternative to smoking. Pharmaceutical regulation was successfully challenged in court in several jurisdictions, and a search for new regulatory solutions began. This is when the image problem became a regulatory problem, because regulators faced a dilemma. On the one hand, you have the idealists demanding free vaping and no regulation. They are idealists because regulators view their political solutions as naïve and lacking in credibility. On the other hand, you have the pragmatists, who are savvier in navigating the political landscape but suspect and dubious due to their connection to Big Tobacco. The main objective of tobacco control is tobacco cessation – to urge smokers to quit as soon as possible and to bring about the end of the tobacco industry. If you see the e-cigarette as a new profit stream for the tobacco industry, the only sensible solution is to ban it. In the European Union’s recent regulation of the Tobacco Products Directive, it required a concerted effort from outsiders working with the fringes of tobacco control to challenge the norm of tobacco cessation with an alternative norm of tobacco harm reduction. This ultimately proved useful in providing a policy solution that had traction with vapers, while balancing the views of experts and the industry. In doing so, it proffered an image of e-cigarettes as harm-reducing tobacco products, which should be regulated alongside other tobacco products, but cautiously embraced for their potential public health benefits. This image has proven its success in one setting, but numerous contending interpretations still abound. Discussion about the pros and cons of vaping, its health benefits and potential risks, is healthy and warranted. But before we start making sweeping claims about what e-cigarettes do, we need much more discussion about what e-cigarettes are and what we want them to be, and to appreciate that they mean different things to different people. Solving the image problem of e-cigarettes is paramount if we want to realize their potential public health benefits. Featured image credit: Young man with the electronic cigarette. (c) Sergey_Moskvitin via iStock. Jacob Hasselbalch is a PhD Candidate in the Department of Politics and International Studies at the University of Warwick and L’Université Libre de Bruxelles. He is the author of the article “Professional disruption in health regulation: electronic cigarettes in the European Union” (freely available for a limited time), published in Journal of Professions and Organization. I disagree. No vapers were consulted. Every vaper disagrees vehemently, and our current gear does not comply, even though the quality is good. Also, the directives are nonsensical and impractical and favour the tobacco industry, of which the vaping industry is NOT a part of. A personal vaporizer is not even a tobacco product. A thoughtful piece Jacob, but I must agree with Emiel Kollof as regards the TPD. It is the “Tobacco Products Directive” so you have to ask yourself why e-cigarettes ( that contain no tobacco) were ever even mentioned in it. As vapers we see that this no longer seems to be the case. Tobacco control (some of it at least) has now shifted its position to that of “Nicotine cessation” – and so rather than being exalted for having done what they asked and given up tobacco, we , as vapers, find ourselves back under their cosh.